Barack Obama has become the first US President to be featured in a virtual reality (VR) video where he can be seen traverseing through the Yosemite National Park situated in California’s Sierra Nevada mountains, also conveying his concerns about climate change. Created by National Geographic, Felix & Paul Studios, and Facebook-owned Oculus, the 11-minute video is available on the Oculus Store for Samsung Gear VR and will soon come to Oculus Rift VRheadset. “The VR experience provides a personal look at President Obama’s trip to Yosemite with his family over Father’s Day weekend,” Oculus said in a blog post on Friday. 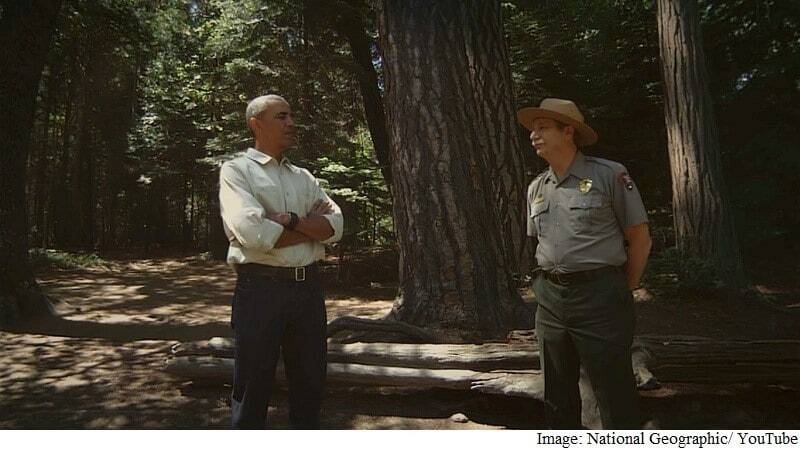 Obama is seen interacting with students during an event tied to his “Every Kid in the Park” initiative and speaking with Don Neubacher, the Yosemite National Park superintendent. The viewers can explore the incredible surroundings of Yosemite, including El Capitan, the Cathedral Rocks, Mariposa Grove, Yosemite Falls and the Merced River. “National Geographic has been a pioneer in visual storytelling throughout its 128-year history. We see virtual reality as a new frontier and are thrilled to use this powerful medium to help celebrate the National Park Service’s centennial anniversary,” said Rajiv Mody, Vice President of Social Media for National Geographic. The viewers can also see the First Family – First Lady Michelle Obama, Malia, and Sasha – crossing the footbridge and taking in the view of Vernal Falls. “As filmmakers, we wanted to use cinematic virtual reality’s unique transportive power to bring audiences into a journey with President Obama where they could experience firsthand the vertiginous, lyrical, and timeless beauty of Yosemite,” added Félix Lajeunesse, Co-founder of Felix & Paul Studios. Duke Nukem 3D World Tour Leaked?